The Brightcove Product team is pleased to announce the release of Brightcove 4.2.1. Some features in the release are highlighted in this post. To read about all the new features and changes in the release, please read the complete product release notes for 4.2.1. In the Brightcove 4.2.1 release, you'll find more tools to help you inspect the performance of your videos, adapt your publishing or distribution strategy, and we'll give you the warm fuzzies by checking the quality of video files that you upload. What is your typical viewer's attention span? That is, on average, how long do you have in any given video to enthrall your viewer or impart information? What are viewers typically doing before they come to your video page? And how does what they were doing relate to how many videos they are going to watch on your site? 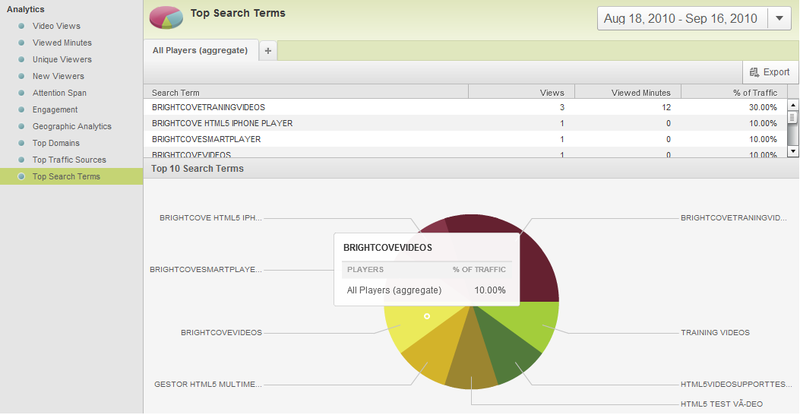 Of all the searches that drive viewers to your site, which searches lead to a more engaged viewer? We all think we know (or hope we know, cross your fingers) our audience. Now, you have access to our new Attention Span, Top Search Terms, and Top Traffic Sources analytics data so you can crunch your own numbers and really know your audience. Check it out. Okay, so now you know your audience. But where and how should you distribute your videos to reach and engage your audience? What websites do your viewers visit? 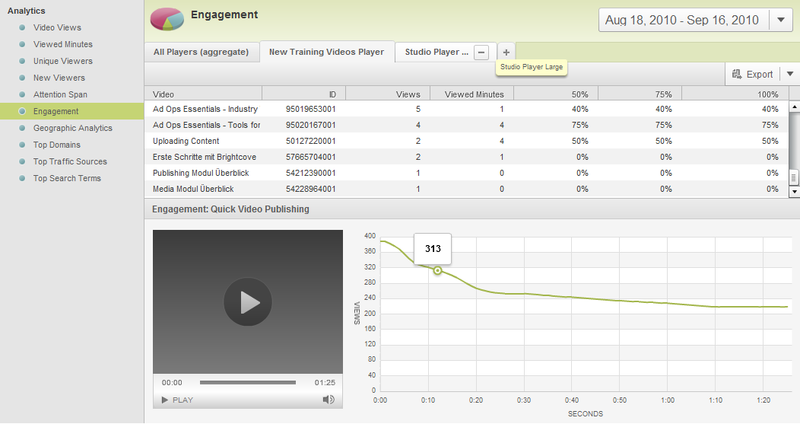 If you give that website a video or two, how will you measure the engagement with your video on that site? If you syndicate a player to a proper English (UK) affiliate, how will you be able to tell if that affiliate is really reaching your audience in the UK or not? Have no fear, data is here! Check out our new Top Domains report and view your Engagement and Geographic data by player too! Yes, we know videos. And we care about your viewer's video experience just as much as you do. That's why, starting today, we are checking every video you upload to make sure its audio track will play back properly online. If it doesn't pass our test, we will give you a nice friendly message and we won't include your original file as a choice when playing back the video online. Doesn't that sound good to you (get it? audio, sound...)? Go to our Support site to read about all the features in the Brightcove 4.2.1 release. If you're a developer, don't miss the improvements to our related videos Media API.